I am such a sucker for pink and gold! Cookies like these make me smile. 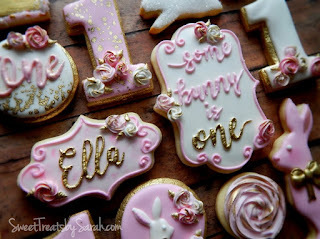 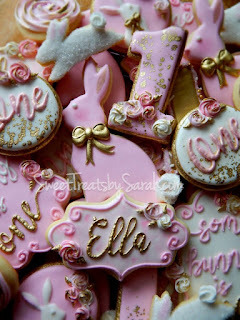 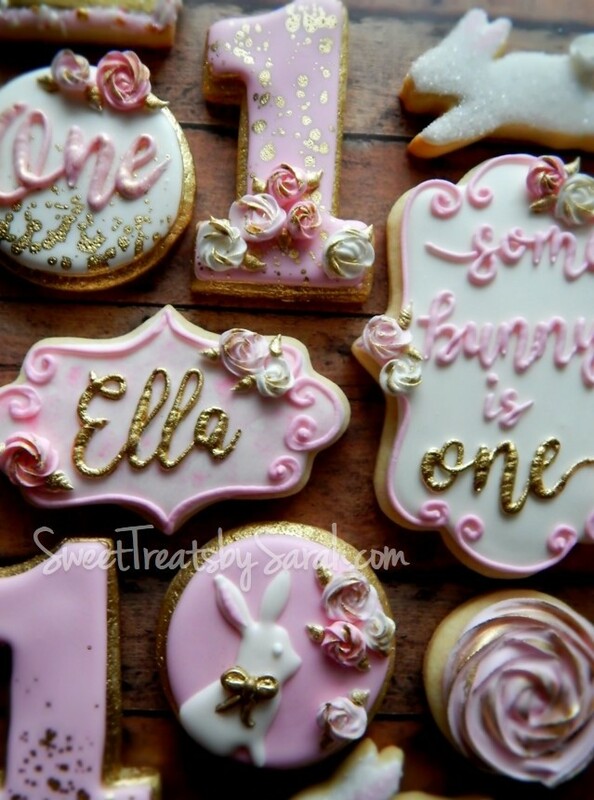 Pink, gold, bunnies, roses - and all for an adorable little one year old!!!! 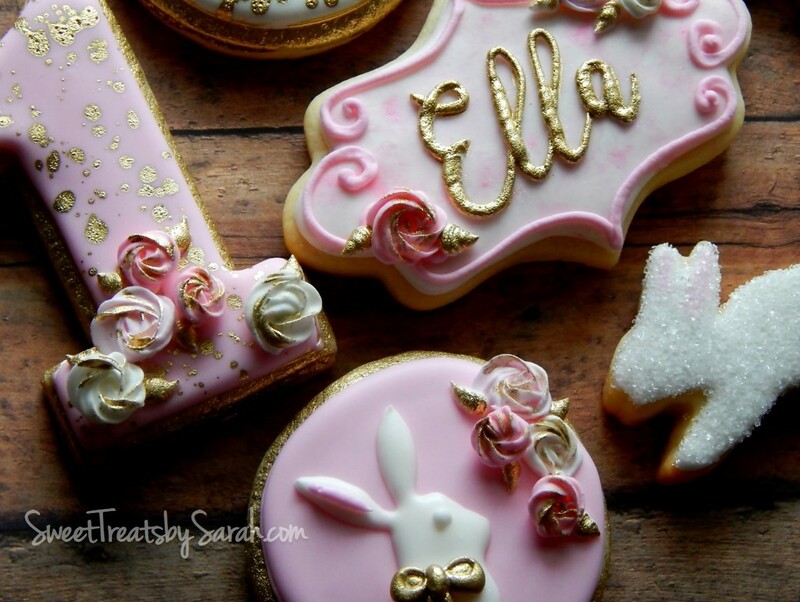 All royal icing on this batch with some beautiful gold luster dust. 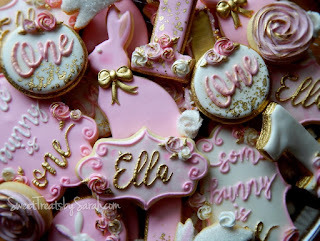 Just enough bunnies to get me in the mood to start working on my Easter goodies! 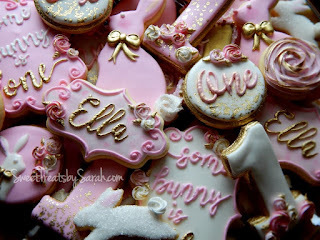 Want some Spring cookies for FREE? 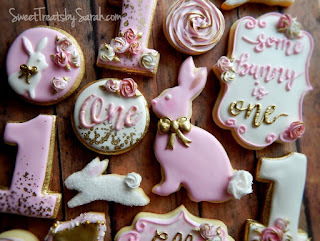 Be sure to enter my Giveaway for 2 DOZEN SPRING COOKIES here. Giveaway open until April 8th.